Which Instagram celebrity has garnered 2.1 million followers, gone backstage at a Demi Lovato concert, and snapped a picture with Taylor Swift at a Grammy Awards after-party? Instagram-famous pets attract the attention of social media users around the world, gathering thousands of likes on each adorable picture. Like many celebrities, some of these furry friends were not born into fame, but rather rose from unlikely circumstances. Marnie the Dog is one of these famous canines who began life in an animal shelter. Marnie's owner, Shirley Braha, was browsing through the animal adoption site Petfinder when she spotted Marnie. "Marnie's condition when she was living in the shelter was not that fantastic," Braha said. "She had stomach worms, was really dirty, and seemed sad. I felt guilty leaving her there so I took her home." After a thorough grooming and some time to settle in, Braha got to know Marnie's personality and began posting photos of her dog on her personal Instagram. Once a friend with 10,000 followers posted a photo with Marnie, the pup's following grew rapidly. Marnie, adopted at age 11 as a senior dog, poses with celebrities and entertains followers with her cute photo-ops. "A lot of these older dogs have a harder time getting adopted," Braha said. "It just seems like the right thing to do would be to go help an animal." Marnie is not the only canine that emerged as a social media hit from humble beginnings. Instagram-famous dog Popeye the Foodie began life as a stray on the streets of Los Angeles when his future owner Ivy Diep found him. Diep quickly discovered how much her new pet enjoyed going out with her, so she began bringing Popeye to pet-friendly restaurants. When a friend pointed out how photogenic Popeye is, Diep began brainstorming ideas for an Instagram account. "I wanted to do something different and it just clicked: how about a dog foodie?" Diep said. "A lot of people call themselves foodies … [Popeye] can be a foodie too!" Popeye can be spotted at restaurants all around Los Angeles, posing with gourmet meals and desserts in photos that get thousands of likes. While Popeye was not adopted, Diep acknowledges that she would always promote adoption as the first choice for people looking to get a pet. "We're trying to get the point across that you can find a wonderful dog out there," Diep said. "Just to show that, hey, this dog that might not be in its best condition at the moment … can blossom with a little bit of love and care." Businesses are also looking to join in on the success of social media-famous animals, with advertisers reaching out to the pet owners for opportunities to promote products. Popeye the Foodie has been featured in sponsored posts by companies such as Burger King, American Express, and Honda. Along with these advertising opportunities, famous dogs living lavish lifestyles have the power to make a difference. Marnie the Dog, for example, recently became a therapy dog at Children's Hospital Los Angeles. "I have this dog that makes people so happy," Braha said. "It feels like it's a really good use of my time and Marnie's time to bring a little bit of happiness to these children who are in situations that no one should ever be in." Organizations such as the American Society for the Prevention of Cruelty to Animals (ASPCA) encourage adoption and utilize the social media presence of famous adopted dogs to spread that message. 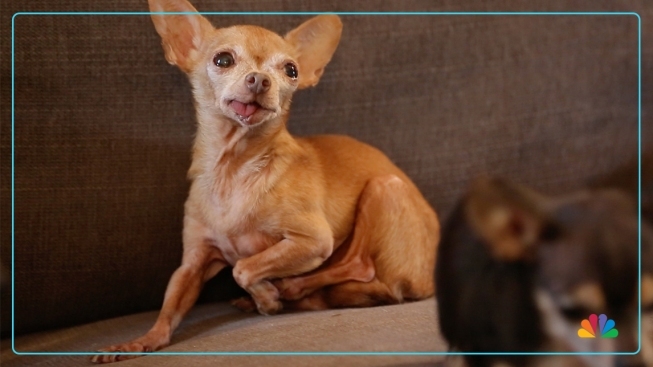 Joey Teixeira, senior manager of planned giving at the ASPCA and owner of Instagram-famous dog Mervin the Chihuahua, recognizes the impact that adoption can have on the lives of animals and their owners. "We really just focus on making the right match, trying to work with people to remove those barriers [to adopting]," Teixeira said. "When you adopt, you're not only gaining a new family member, but you're also saving a life." Mervin first arrived at the ASPCA shelter emaciated, missing his teeth and in need of care. Now, three years after Teixeira adopted the chihuahua, Mervin has come into his own and puts smiles on the faces of his Instagram followers. "Once he got into a loving home, he was able to really come out of his shell and become his true self," Teixeira said.